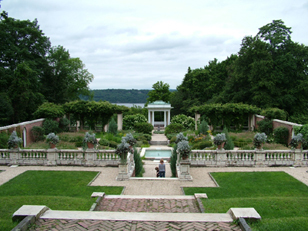 Bard College is located on three former estates overlooking the Hudson River. Initially an Episcopal seminary, over the course of a hundred and fifty years the college developed into one of the nation’s leading proponents of progressive education. Both the college and the estates that now comprise its campus have rich and varied histories closely tied to the heritage of the Hudson River Valley. Heritage Strategies principals Peter Benton and Krista Schneider led a team that prepared a master preservation plan for the Bard campus funded by the Getty Campus Heritage Program. 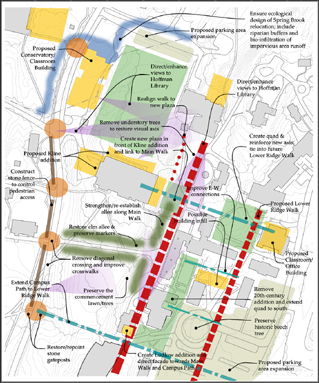 The plan assessed the college’s complex cultural landscape and developed stewardship strategies, recommendations, and design guidelines for the historic buildings and landscape. The plan was prepared through John Milner Associates, Inc.